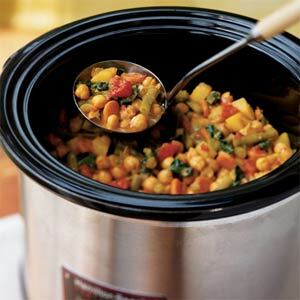 A slow cooker is an essential in the lazy cook’s kitchen. There’s no other kitchen tool which can let you dump a load of stuff into it, leave it alone for the entire day, only to present you with a delicious, hot and flavoursome dinner the moment you get home from work. Slow cookers save you time without scrimping on nutrition, and it doesn’t hurt that it’s not that hard on the wallet too. 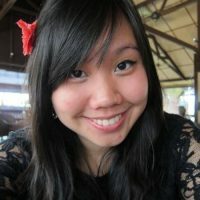 A quick glance at Lazada showed slow cookers ranging from RM50 onwards. Talk about a worthwhile investment. We all know Greek yogurt is great for us, but they can be so, so expensive at the supermarket. Well, here’s a really simple recipe that’ll have you shunning store-bought yogurt for quite a while! Recipe here. Breakfast can be a rushed affair, but with a slow cooker you can just plonk everything into it, and sleep while the cooker does the job for you! 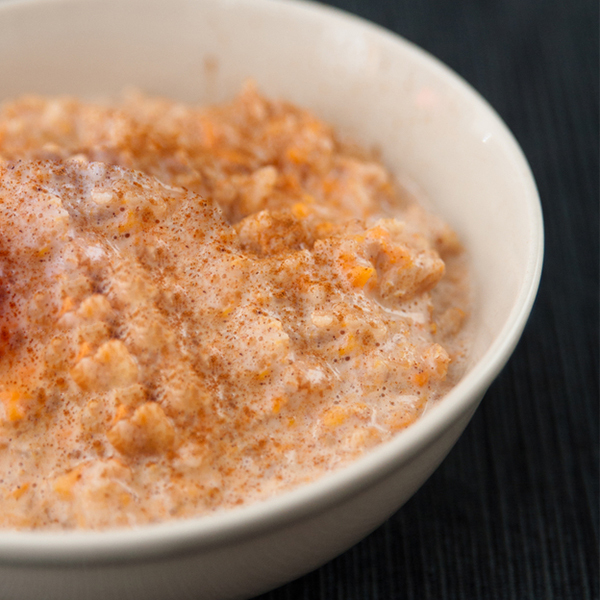 Who doesn’t want to wake up to a hot bowl of pumpkin custard oatmeal? Recipe here. 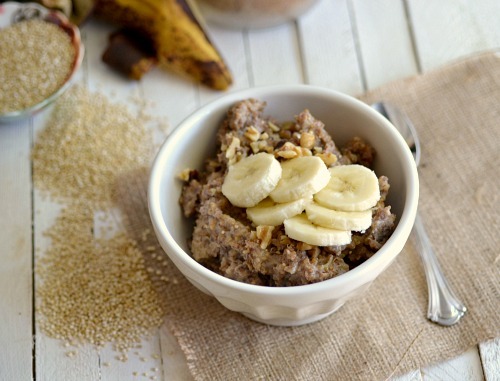 The nutty chewy texture of quinoa is only made better when slow cooked with bananas, brown sugar, and butter. 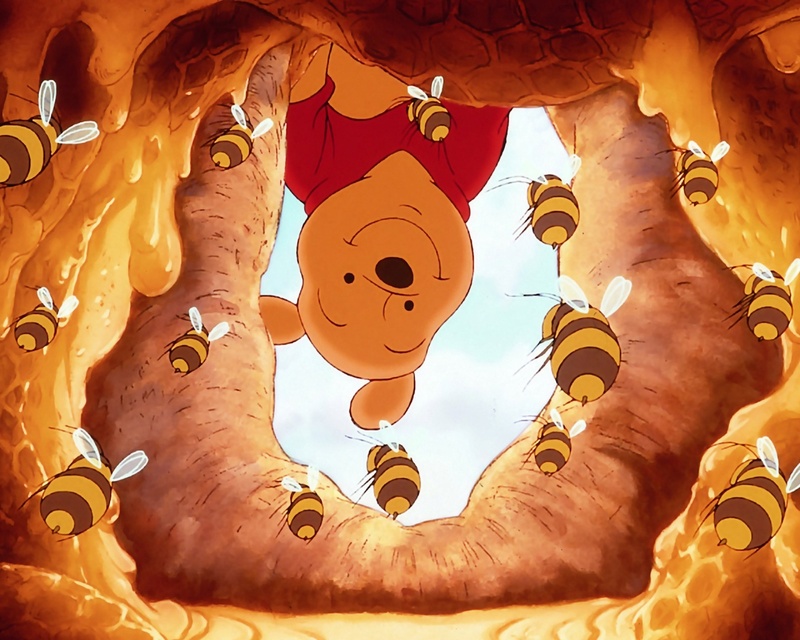 The kitchen will smell great when you wake up! Recipe here. For those of us who like something savoury for breakfast, this recipe which features turkey bacon, green onions, green, red, and yellow peppers as well as cheese, eggs and milk is a nutritional powerhouse. Recipe here. 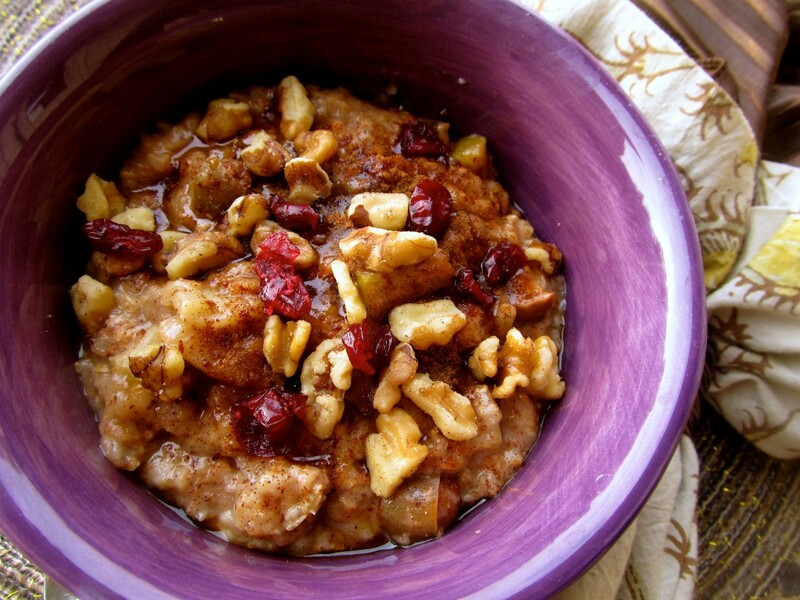 Apples and cinnamon are a match made in heaven, and when combined with oatmeal and cooked overnight? There’s no better breakfast out there. Recipe here. Chickpeas, green beans, and potatoes are the star of this dish, and their flavour is amplified through hours of cooking with aromatic Indian spices. Get some brown rice ready in a rice cooker and voila, dinner is done! Recipe here. Ratatouilles is an extremely versatile dish which you can use to stuff sandwiches, top pastas with, or as a side dish to your meats. Unfortunately they can be a bit of work to prepare, unless you do it in a slow cooker of course. Recipe here. Jam packed with veggies – portobello mushrooms, zucchini, tomatoes, baby spinach and more, this is a vegetarian lasagne for the win. Recipe here. 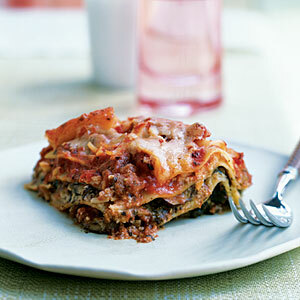 Hours of cooking allows the flavours to seep into the lasagne noodles. Use frozen spinach for a quick fix and depending on the shape and size of your slow cooker, you may have to break up your uncooked lasagne plates before placing it in. Recipe here. You don’t need much, just some spices, an onion, and a large chicken, and of course, your trusty slow cooker. The results after a few hours? 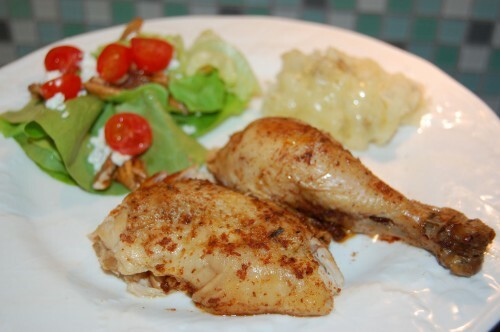 Superbly tender chicken that’s bursting with flavour. There’s no better dish to impress your guests! Recipe here. Fresh, tangy and flavourful. Lemon slices can turn bitter after a while so we suggest using just the juice, or cut off the peel of the lemons. Serve over brown rice with a side of steamed veggies. Recipe here. Basil, thyme and garlic, along with a jar of marinara sauce make this an incredibly tasty meal, while the chicken breasts, celery, zucchini, and bell pepper make it hearty and healthy. We suggest adding in a ton of mushrooms for good measure! Recipe here. 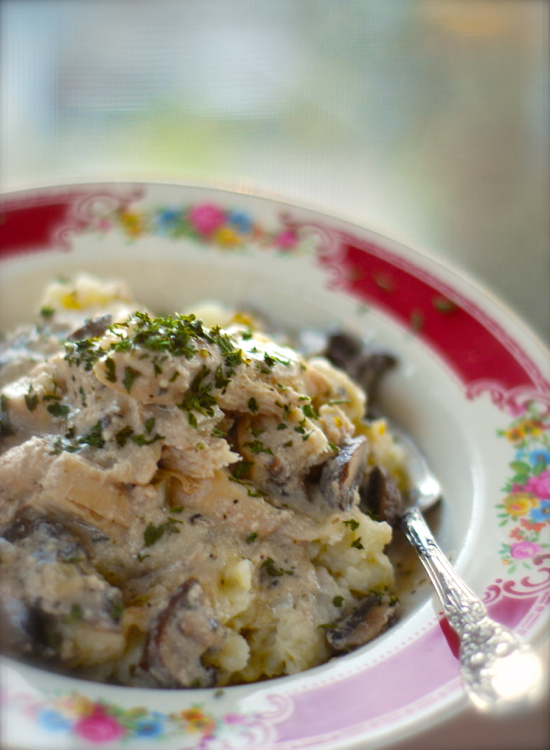 Make the quintessential Hungarian dish in the comfort of your slow cooker! Cooked for hours, the meat will be tender and the flavour soaked through. Sauce will be amazing served over some wholegrain pasta. Recipe here. 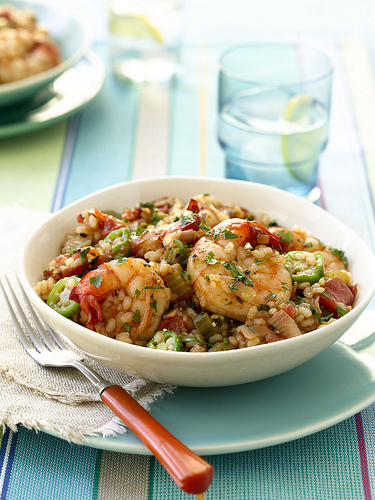 Lots of veggies and spices cooked together with shrimp and brown rice makes a happy diner. Recipe here. This hearty slow cooker pork chili with pinto beans gets its smoky flavor from the combination of chili powder, cumin, oregano. tomatillos, and Mexican-style hot tomato sauce. Recipe here. The perfect dinner for a rainy night in, this creamy, comforting dish is full of fibre and essential nutrients, yet tastes just as lip-smackingly good as the original Italian favourite. Recipe here. Olives and capers star in this Mediterranean dish that’ll add flavour and colour to any dinner table. Serve over couscous, or brown rice. Recipe here. 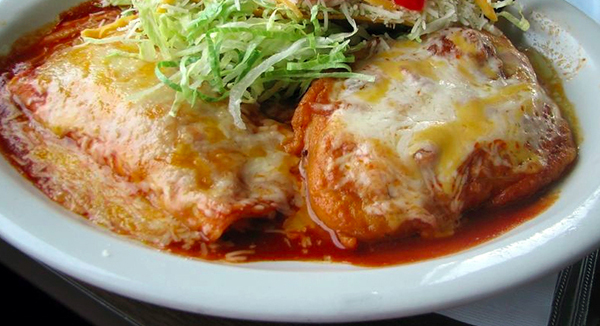 This is the ultimate dish for the lazy chef. Only 3 ingredients required – chicken breast, salsa, and a can of diced tomatoes, but after a few magical hours in the slow cooker, you’ll have a delicious chicken dish that’s great in wraps, over brown rice, or just on its own! Recipe here. The day will come where all you want to do is laze on the couch with a good, steaming hot bowl of soup. On those days, nothing will serve better than a bowl of sweet potato soup. Recipe here. 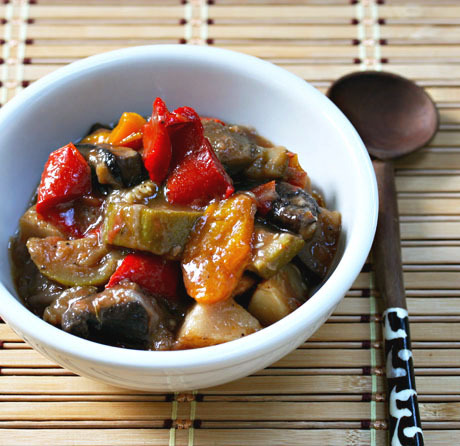 This healthier take on a Chinese favorite is almost as easy as picking up takeout! Recipe here. Tender chicken breast cooked in yogurt and stroganoff sauce for hours, along with fresh mushroom and minced garlic makes for a comforting yet healthier meal. Recipe here. While the recipe is vegetarian, feel free to add in some meat to your liking. Use your favourite curry powder for the flavour and intensity you want in a good curry. Recipe here. 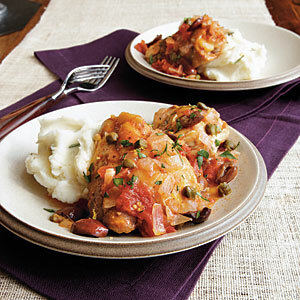 At about 250 calories per serve, this is a hearty meal that’s easy on your waistline. Recipe here. This is a healthier take on our childhood favourite, using ground turkey instead of beef and loaded with italian spices. Serve over wholegrain pasta. Recipe here. This recipe replaces the traditional potatoes with cauliflower, although you can barely taste the difference. Great as a side dish, but also good for lazy lunches. Recipe here. Great recipe for both lunch and dinner, cook up some brown rice and sprinkle with tortilla chips for a substantial meal. Add in some black beans during the cooking process to thicken up the soup a bit if you don’t like things too watery. Recipe here. Cooked for 7 to 8 hours in the crockpot, you can be sure the sauce will blow your mind. Recipe here. 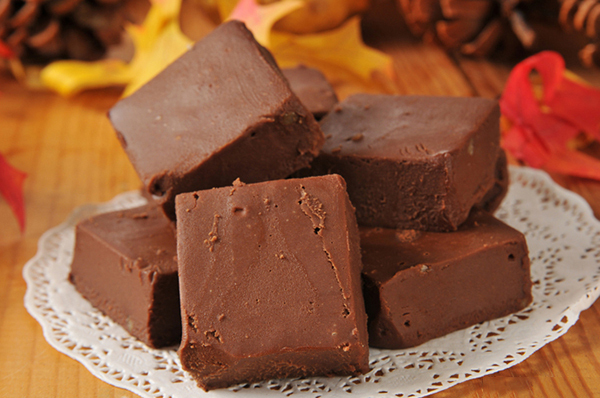 Yup, didn’t think you could make fudge in a slow cooker did you? While this dessert is decadent, it uses coconut milk (healthy fats) and dark chocolate, which is definitely a healthier take on the traditional chocolate fudge. Recipe here. Using oats and almond meal instead of refined white flour takes away the most unhealthy parts of this traditional dessert. Recipe here. Chewy dark chocolate brownies in the slow cooker. Need we say more? Recipe here. 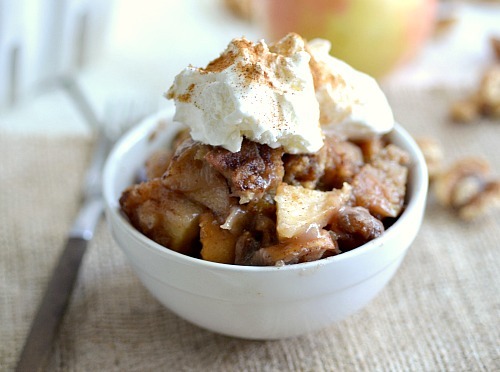 Applely, cinnamony and buttery. You wouldn’t believe this came out of your slow cooker. Recipe here. Rice puddings are a popular dessert due to its sinfully creamy texture. This recipe uses brown rice in the place of white rice for a healthier serve. Recipe here. Simple, sweet and hot, these walnut-stuffed slow-cooked apples will please even the most finicky eater. Recipe here.